Government Ale? What an inspiring name for a beer. Sort of makes it sound official, doesn't it? As if the government has somehow approved it. 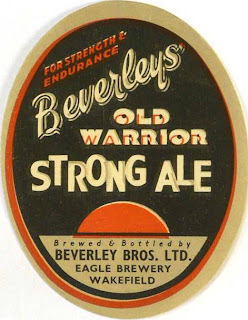 Government Ale (a name later forbidden by the government) was the result of the first set of government controls on the gravity and strength of beer, introduced in 1917. It was brewed within specified gravity bands (pretty low) and sold at a controlled price. The intention was to ensure more beer was brewed from the same quantity of raw materials and keep down the price to stop unrest amongst the working class. It doesn't seem to have quite worked out as planned, due to resistance from brewers and publicans. Stylistically, it was like a lower-gravity X-Ale and was often party-gyled with it. When government restrictions on brewing were abolished, Government Ale didn't disappear. 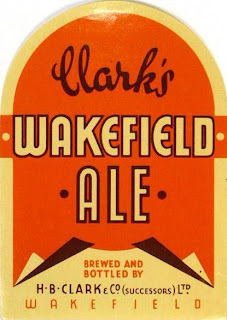 Most breweries continued to brew a beer of around 1030º, usually called just Ale. It finally vanished only when the gravity of X Ale dropped to around 1027-1030º at the end of WW II. The biggest difference between the grist of GA/MA and X Ale was the use of dark malt. Most versions of MA contained 7 to 11% brown malt, though occasionally crystal malt was used instead. That's enough to make the beer taste significantly different from a beer brewed from just pale malt and dark sugar. Either they had more brown malt than they knew what to do with or they were trying to compensate for the fall in gravity. Whitbread also used brown malt in their price-controlled Milds. THE INTOXICATING LIQUOR (OUTPUT AND DELIVERY) ORDER No. 3, 1917. DATED OCTOBER 15, 1917. 1. During the quarter commencing on the 1st October, 1917 (hereinafter referred to as the current quarter) the maximum barrelage which a brewer for sale is authorised to brew under the Intoxicating Liquor (Output and Delivery) Order, 1917 (hereinafter referred to as the principal Order) shall be increased. (b) By such further amount, if any, as in his case may be authorised by licence of the Food Controller if he complies with the conditions subject to which such a licence is granted, and the increase authorised by such licence is hereinafter called the licensed increase: Provided that the aggregate amount of the licensed increases shall not exceed such an amount as with the aggregate amount of the twenty percent, increases will increase the aggregate barrelage to be brewed by all brewers for sale in the current quarter by more than thirty-three and one-third per cent. 2. 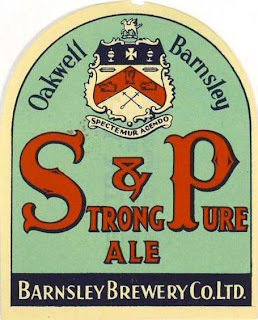 A brewer for sale shall be authorised to brew in the current quarter the twenty per cent, increase if he gives notice to the Commissioners of Customs and Excise (hereinafter referred to as the Commissioners) on or before the 20th October, 1917, that he accepts and will comply with the conditions subject to which the twenty per cent, increase is authorised by this Order, and such brewer is hereinafter referred to as an accepting brewer. And it shall be the duty of every accepting brewer to comply with such conditions. 4. The additional barrelage authorised to be brewed by this Order and by licences under this Order shall not be taken into account in reckoning the ten million barrels referred to in sub-section (2) of Clause 1 of the principal Order. Principal Order. 5. The same provision shall be applicable in relation to the Contracts, effect of this Order on contracts as is applicable in relation to the effect of the Output of Beer (Restriction) Act, 1916, on contracts under Section 4 of that Act. (a) Except under the authority of the Food Controller a certificate granted by an accepting brewer shall not during the current quarter be used to transfer barrelage to a person who is not an accepting brewer. (b) The number of standard barrels which a licence holder may obtain from an accepting brewer under a certificate shall be increased by 20 per cent. (c) An accepting brewer who has undertaken to supply the licence holder with beer under a certificate shall not supply more than one-half of such beer at a gravity exceeding an original gravity of 1042º. (d) This clause shall apply to persons having the same rights as licence holders in the same way as it applies to licence holders. 7. If any question shall arise under this Order as to the average Gravity of original gravity of beer such question shall be determined by the beer Commissioners. connected therewith shall at all times be open to the inspection of the Food Controller and of the Commissioners. (a) No account shall be taken of any surplus barrelage accrued since the 1st April, 1917, for the purpose of computing the increase permitted by Clause 1 of this Order. (b) In the case of a brewer who was an accepting brewer within the meaning of the Intoxicating Liquor (Output and Delivery) Order (No. 2), 1917 such surplus barrelage may except in such cases as the Food Controller otherwise directs, only be brewed subject to the conditions applicable under conditions (a) and (b) of clause 3 of this Order to the beer therein referred to. 10. Infringements of this Order are summary offences against the Defence of the Realm Regulations. 11. This Order may be cited as the Intoxicating Liquor (Output and Delivery) Order No. 3, 1917, and should be read as one with the principal Order. I think it's time to pass you over to Kristen's tender care . . . . . .
General info: Ah Government ale…the sadward turn towards the low gravity milds of the generations to come. To be distinguished between Government cheese or any kind of government pension service. This was is a low-gravity mild that was stipulated to cost 4d. Low gravity, low hops, low everything. The attenuation is through the roof and with nearly a third of the beer coming from either darker malts or dark brewing sugars there is plenty of dark fruity character. Toasted bread crusts, some cocoa and lots of dark sugar plum fairies dancing around. A bit astringent in the middle that really accentuates the ridiculously drying finish. Quite a bit of caramel colour to add nearly half of all colour. For such a low gravity mild there was an aweful lot of malts and sugars full of character. Two-thirds of this beer was made up by pale malt. The rest came from brown, amber and crystal malts and dark brewing sugars. All the malt was of locale origin and the brewing sugars from the usual suspects of Garton and Martineau. There were hops…a little anyway. Averaged 3 years old and had notes indicating they were reducing the hopping level by about 15% from previous recipes. As with other low gravity mids there was only a single hop addition at the beginning of the boil. No late hopping nor dry hopping. This was beer making on a budget! A moderately high mash would have giving a touch more mouthfeel keeping this beer from being even dryer than it turn out. The brown malt and No3 invert would have added a touch more body but a lot more flavor. This beer was boiled for 2 hours which was not very common for the time as time is very much money. A cool fermentation temp would have ensured a good amount of fruity character but all that would not make up for the beer being completely fermented in two days. No aging. No standing on ceremony. Condition to 2 vol and drink. A three gyle approach was made with this beer. Doughing in very tight, stepping up the mash temp and then the sparge. The sugar was split between the first two gyles were by 2/3rds and 1/3rd, respectively. Hops were done on the per bbl basis. The last gyle was only 1.010 and no hops were added. Each gyle was blended equaling creating one single beer. For this recipe, one can make the beer without the gyle will little difference in final product. May I ask something? Do you have any "bolder" recipes for the next one? I'm very curious if you have any blend, like the Strong Suffolk, vatted and young, with brewing and ageing details. ealusceop, by bolder, do you mean stronger? What I have planned is a series of ever weaker wartime Milds and medieval Dutch oat beers. Now you mention blending, there is Truman's Barley Wine. That was aged No. 1 blended with a Runner. Which one was it again? "Either they had more brown malt than they knew what to do with or they were trying to compensate for the fall in gravity." could have the amber and brown malts come from the reduced brewing of their bigger porter/stouts? Oblivious, they were never brewing huge quantities of the big Stouts. And Porter they continued to brew throughout this period. It's possible that they just had more brown and amber malt lying around. In any case, this is fairly convincing proof that brewers didn't stop brewing Porter because of the unavailability of dark malts. Hang on, I don't understand how GA could have been party-gyled with X if the grists were different? Barm, sometimes X and GA or Ale 4d were party-gyled. In which case the X recipe was used. So there were in fact two varieties of GA and Ale 4d. Exciting, eh?